A tower fan can be a great tool for cooling the house during summer periods. It comes with a long rectangular column for letting out the air and sits near the floor. Its upper section is still effective in blowing air at a decent height. Some of the tower fans come with louvers that be used to direct the flow of air in an upward or downward direction. These fans work well for a large living area. Looking for a new tower fan on the market can be quite overwhelming. This is because there are many products to choose from and different features to compare. The ideal tower fan should, however, be as quiet as possible and have several speeds. It should also be convenient to use by including such features as a timer and remote control. Acquiring a tower fan gives you an effective tool for cooling a house. Some of the benefits that come with this acquisition include simple installation, easy operation, and remote control. These fans can be efficiently used with air conditioners in mild climatic regions to save energy. They allow you to set a higher reading for the thermostat to lower the energy consumption but still offer a comfortable environment. One of the key benefits of investing in a tower fan is that they are space-saving. Most people buy these units because of their slim tall design which can easily fit in any room. They take less space than most other fans on the market and are a great option when you have limited space. They can be easily tucked in between couches or even placed near a desk or bathroom area. These fans generally offer a greater amount of airflow within a compact unit. They can dispense air at an angle of 90 degrees while oscillating on their stationary base. This makes them not only efficient but also quite effective. Their shape allows them to slide into narrow without much trouble. Some of the models provide air ionization properties for a fresh clean feeling. The other benefit of acquiring a tower fan is that they are stylish. These units have an elegant and attractive design that enhances the aesthetics of your living space. They have been designed with a modern and discreet style that blends well with any home interior decor. They have also been designed for efficient and quiet operation. In fact, you will rarely hear any sound from this fan despite the fact that it is doing its work very well. It uses wide angle oscillation to maintain a cool and comfortable living environment. It saves you about 60 percent of the energy a standard fan would use. Its efficiency is highlighted by the fact that it will provide you with a cooling solution with very minimal disturbance, noise, and space consumption. Their sturdy design means that they won’t be easily tipped while working. They come with features like remote controls, timers, and breeze settings to enhance the convenience of operating them. Tower fans contain many features, and it is important to know some of the most important features. This will help you when looking for a right product to buy. The first feature to consider is the height and width of the fan. Tower fans usually come in different shapes and sizes. Their base could fall anywhere between 12 inches and 36 inches. In choosing the appropriate height, you have to consider the size of your office or room so that you match them appropriately. Choosing an adjustable height would give you more flexibility to use the tower fan in different rooms. The next feature to consider is the material used to make the fan. Some fans have been made from plastic materials. It is therefore good to properly check the integrity and structure of the fan before buying. An all-plastic fan will have a weak base while an all metallic fan will be somehow bulky. You, therefore, need to do some balancing act to get a unit that is sturdy but not bulky. A remote control feature will be a great inclusion in a tower fan as it offers you the hands-free control. The same way you operate your TV, you don’t have to move from the couch every time you want to change the settings. A digital display feature would also be a good inclusion in your fan unit. The next feature of the noise level. Fans usually produce a certain sound that can be irritating especially if the levels are high. It is important to know the noise levels produced by the different speed settings. Some units work perfectly well at low speeds but can get noisy when higher speeds are selected. The best unit should be as quiet as possible considering that you may need to use it at night while you are sleeping. You need to test the whining, thrumming, and buffeting noises to be sure you are getting the right unit. There is then the timer feature which comes as a standard feature on most new arrivals. This feature is very helpful as it can switch off the model automatically after the set time period elapses. Some models offer you digital timers while others come with a dial or a slider. Additionally, the ionizer feature gives your model the ability to smell clean fresh air in the room. Therefore, the best unit should include an ionizer control that enables you to switch it off when not required. The next thing to consider is the appearance of the fan. 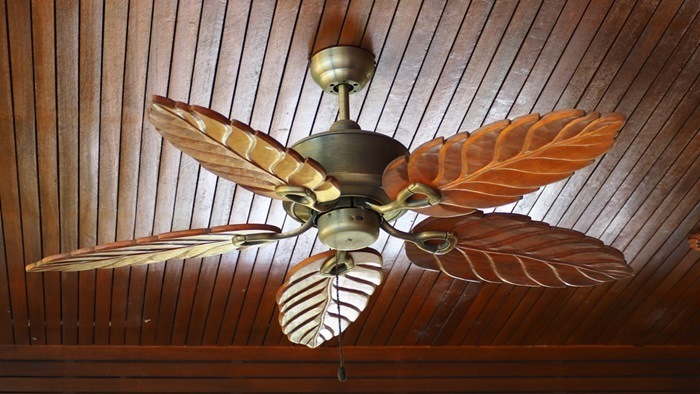 Your fan should be able to complement your home decor. There is then the aspect of customer service. You don’t want to buy from a brand that has a negative reputation for how they handle their customers. Most tower fan products are not complicated,and all you need is to understand their features and be able to choose one that suits your needs. We have looked at the benefits of having these units in your home. We have also highlighted some of the features to look out for. The general rule is that the more the features,the better the product. If you have kids and pets that may move around the fan area, it is important to consider some safety measures. Their design has been made in a way that also enhances safety. The blades run in a vertical way ensuring that the air is vertically blown and exits through small openings. A programmable timer feature will make it possible shut of the fan when not in use. They also come preassembled making it easy to install.